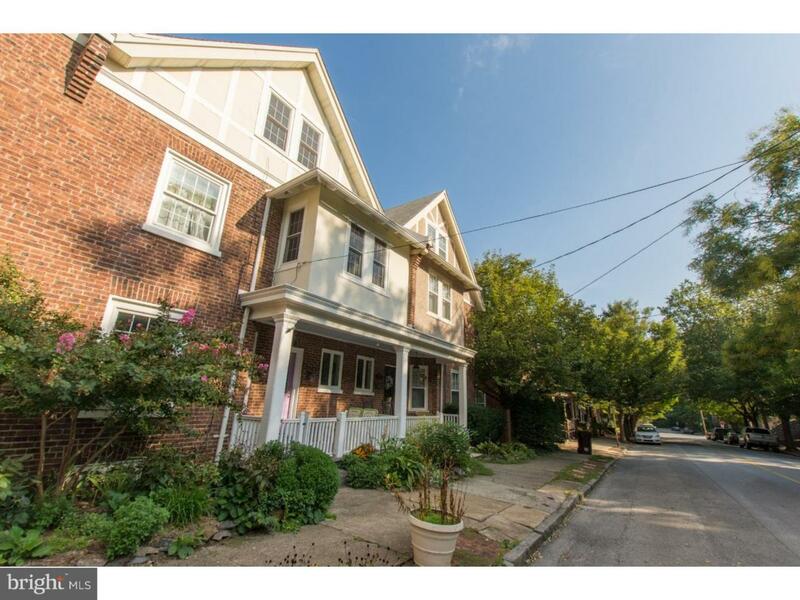 A true upgraded and renovated town home in popular Trolley Square. Owner has spent all the money needed to make this home a showcase. First floor is loaded with premium enhanced upgrades, large spaced hardwood floors, custom trim, and added built-ins. Kitchen was gutted to the studs and updated with 42 inch cabinets, new appliances, tile back splash, and quartz counters. The half bath was also redone and the back deck is new. The 2nd floor has all the amenities for the fast paced city dweller or a growing family. Newly installed large spaced hardwood floors, newly renovated hall bath with top of the line tile and fixtures with ample storage space. The master bedroom has fully renovated master bath with custom finishes, and a walk in closet big enough for 2. The 3rd floor has 2 additional bedrooms or office space. Home is meticulously maintained and features, 2 zone AC, newly converted gas heat, all new windows, and a new roof. Absolute zero updates needed for the new buyer, which they will truly appreciate. Welcome Home!